Get ready to do a little fist pumpin' and grab a few tubes of "spikuh" ridiculously strong firm hold gel. We've got the Jersey Shore Haircuts from Mike, Pauly, Vinny and Ronnie. Looking for something a bit more extreme? Check out our gallery of Men's Design Cuts for inspiration. 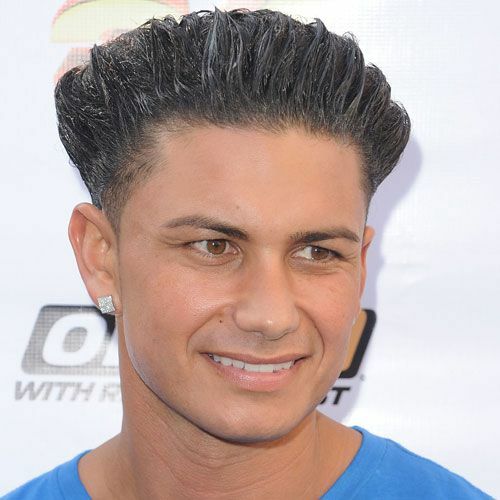 We're not exactly sure how to describe Pauly D's blowout. 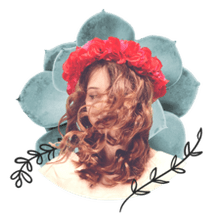 Is it really possible to have that much Joico Ice Spiker Water-Resistant Styling Glue in one hairstyle? Could he injure someone with this style? Is there rehab for gel addicts? Maybe this guy needs an intervention! This is a side view of the work of art on DJ Pauly D's head. If you hit him in the head with a brick, which would break? The brick or his hair? That's got to be an entire tube of Joico Ice Spiker Water-Resistant Styling Glue in his hair. When you've got abs like Mike Sorrentino, nobody's paying much attention to your haircut. The Situation normally wears a fairly straightforward high fade, sometimes with a few designs shaved in for variety, but he always leaves enough on top for a little Joico Ice Spiker Water-Resistant Styling Glue or "Spikuh" as Pauly D calls it. We're not exactly sure what's going on with the disconnect on the top of The Situation's haircut here. It appears that he's got the hair at the crown pushed forward, while the hair in front is pushed back creating a spike in the middle. He should have the hair cut shorter at the crown and gradually get longer towards the front to eliminate this. The Jersey Shore's Vinnie normally wears his hair faded tight on the sides and back with around a number two blade on top and an outlined front. We're not a big fan of the way the style works with his head and face shape -- a little more length on top and a more squared up style would provide better balance. Of all the Jersey Shore guys, Ronnie's haircut probably works best for him. The style is faded low on the sides and back and cut shorter at the front. The top is styled into a faux hawk -- we assume he uses Pauly D's favorite Joico Ice Spiker Water-Resistant Styling Glue for the task. Overall, the faux hawk style is a bit dated but frames his face well.